Stanley Furniture retooled its High Point plant to produce the Young America line. Stanley Furniture employees who lost their jobs when the company closed its Young America plant are eligible to apply for Trade Adjustment Assistance. But the plant may not have closed if Stanley could have bought U.S. veneer and hardwood at competitive prices with China's manufacturing plants. U.S. wood and veneer companies are concentrating on export markets, competing for business from China's buyers, Stanley CEO Glenn Prillaman told New York Times reporter Timothy Aeppel. Woodworking Network's weekly reports recount the impact China's buyers have on U.S. domestic lumber pricing and availability. If China wants Ash - it's buys 70% of U.S. output of Ash wood species - ash goes up; if China moves to walnut, U.S. buyers start substituting cherry wood. The scale of China as a global producer - the back end for a significant portion of Ashley Furniture output and for many Italian brands, for example - means U.S. manufacturers producing only for local consumption can't reach the scale of efficiency. Stanley management notes that its marketing strategy - the assurance to consumers of safe, healthful "Made in America" baby cribs and kid's furniture - was not enough to convince buyers to pay the higher price tag - twice as much as imports, according to Aeppel. That price tag, it turns out, was not because manufacturing at its High Point, NC plant was inefficient. Stanley Furniture spent an estimated $10 million retooling its plant, and leaned-up its design and manufacturing steps. 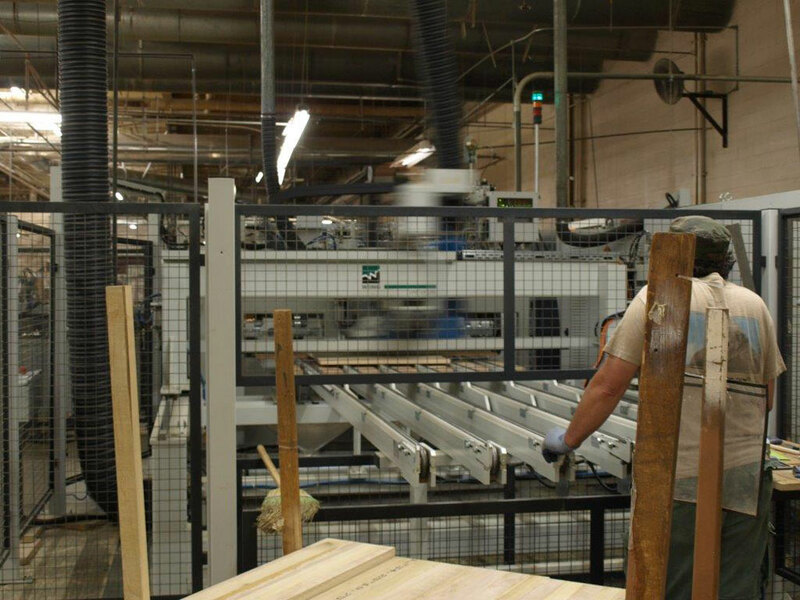 Winning a WMIA Wooden Globe Award in the process, Stanley Furniture became a low cost producer. Except for raw materials. Because Stanley's U.S. sourced lumber supply was more costly, it was at a disadvantage to bigger buyers abroad, as U.S. lumber and veneer suppliers attended to exporting to Asian buyers. "We were such a small part of their business we were seeing price increases the Asians weren't," Stanley Furniture CEO Glenn Prillaman said. Not every effort to insource to the U.S. will meet the same fate. Ashley Furniture - with $3 billion in U.S. sales and 500 outlets it's the number one residential furniture seller in the U.S. - is building what will be the largest furniture manufacturing plant in the world. Bigger than IKEA. At that scale, they should be able to get the attention of the lumber and veneer producers.